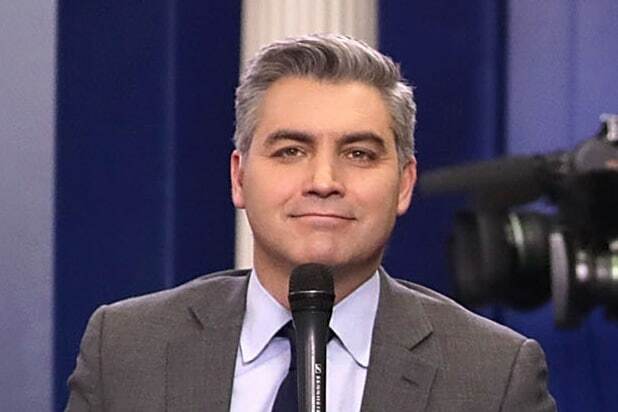 CNN has promoted Jim Acosta to Chief White House Correspondent, the network announced Tuesday. Acosta previously served as the network’s Senior White House Correspondent. Over the last year, Acosta has become a fixture in the White House briefing room. His often combative exchanges with Trump administration officials have routinely made the rounds on social media and earned the ire of conservative critics — including President Donald Trump. In one famous exchange from the White House in August, Trump refused to take a question from Acosta and accused him of spreading fake news. “Mr. President, haven’t you spread a lot of fake news yourself, sir?” Acosta shot back. Trump has also trashed CNN’s ratings to Acosta’s face on live television. Acosta has covered both the Trump and Obama administrations for CNN since 2013. The Acosta move was part of a broader slate of staff announcements from the network. CNN also revealed that Justice Correspondent Pamela Brown would join Jeff Zeleny as a senior White House correspondent. In addition, CNN said Sara Murray would move from the White House beat to the the Justice Department to cover developments in the Russia investigation while Joe Johns will refocus his reporting on the 2018 midterms and national politics. "The Simpsons" has an eerie knack for predicting the future, from Donald Trump's presidency to U.S. beating Sweden for an Olympic gold medal in curling. Here are 14 times the long-running comedy series got it right. On the episode "Lisa Goes Gaga," Lady Gaga is shown suspended by cables flying over the audience at a concert. Well surprise, surprise because at the Super Bowl LI's halftime show, Gaga descended from the stadium's roof with suspension cables wearing pretty much the same outfit on her episode. In a 2010 episode, Milhouse predicted that Bengt R. Holmstrom would win the Nobel Prize in Economics and, sure enough, in 2016 Holmstrom and Oliver Hart were announced as joint winners of the prize. Seventeen years ago in an episode titled "Bart to the Future," Lisa becomes president after Donald Trump, apparently, ruined the economy. In 1993, an episode titled "$pringfield (Or, How I Learned to Stop Worrying and Love Legalized Gambling)," magicians in a Siegfried and Roy-like show got attacked by their trustworthy tiger. In 2003, Roy was attacked by one of their white tigers during a live performance. He sustained injuries, but lived. On the 28th season premiere, the satirical series made an Arnold Palmer joke... on the day that golfer Arnold Palmer died. Homer Simpson tells his wife Marge that he plans to “Arnold Palmer” his pal Lenny. He was of course referring to the lemonade and iced tea drink mixture -- which was named after the golfer. During the 2012 elections, a voting machine proved faulty when votes cast for Barack Obama went to Mitt Romney instead. In a 2008 episode, Homer Simpson went to the voting booths to cast a vote for Obama, but... his vote went to McCain instead. In a 1998 episode, "The Wizard of Evergreen Terrace," Homer writes out an equation on a chalkboard which, if solved, “you get the mass of a Higgs boson that’s only a bit larger than the nano-mass of a Higgs boson actually is," says Simon Singh, science author. In 1994, an episode titled "Sweet Seymour Skinner's Baadasssss Song," the lunch lady was seen reaching into a barrel labeled "assorted horse parts" and putting the meat into the school's lunch pot. In 2013, it was reported that traces of horse DNA was found in beef products across the UK. The now basically extinct but once popular video game Guitar Hero was first released in 2005. But in a 2002 "The Simpsons" episode, Mick Jagger and Keith Richards give Homer a jacket that has "guitar hero" printed on the back of it. The virtual reality game, Farmville, was all the craze in 2009 with people rushing home from work or school to tend to their farm. In a 1998 episode, "The Simpsons" shows a scene were kids are excited to play in a yard work simulator. In Season 2's episode 18, "Brush With Greatness," Ringo Starr from the Beatles is shown responding to fan letters while saying: "They took the time to write me, and I don’t care if it takes me another 20 years. I’m going to answer every one of them." Well, two women in England received a reply to their fan mail form Sir Paul McCartney 50 years later. Sorry Apple, but "The Simpsons" had smart watches first. In a 1995 episode in which the show is set in the future, Lisa's husband is shown speaking to a phone on his wrist. The first smartwatch wasn't created until 2013. Back in 1998, a quick scene in "The Simpsons" showed 20th Century Fox as "a Division of Walt Disney Co." And late in 2017, Disney was deep in talks to acquire much of the Fox empire, including the film and TV studio. 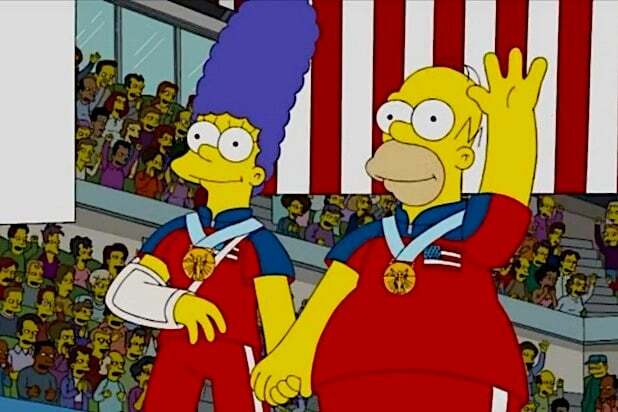 In 2010, Homer and Marge beat Sweden and took home an Olympic gold medal for Team U.S.A. in Mixed Match Curling. As the animated sportscaster said, "Open your history books, tear out the pages and put this indelible Olympic moment in."